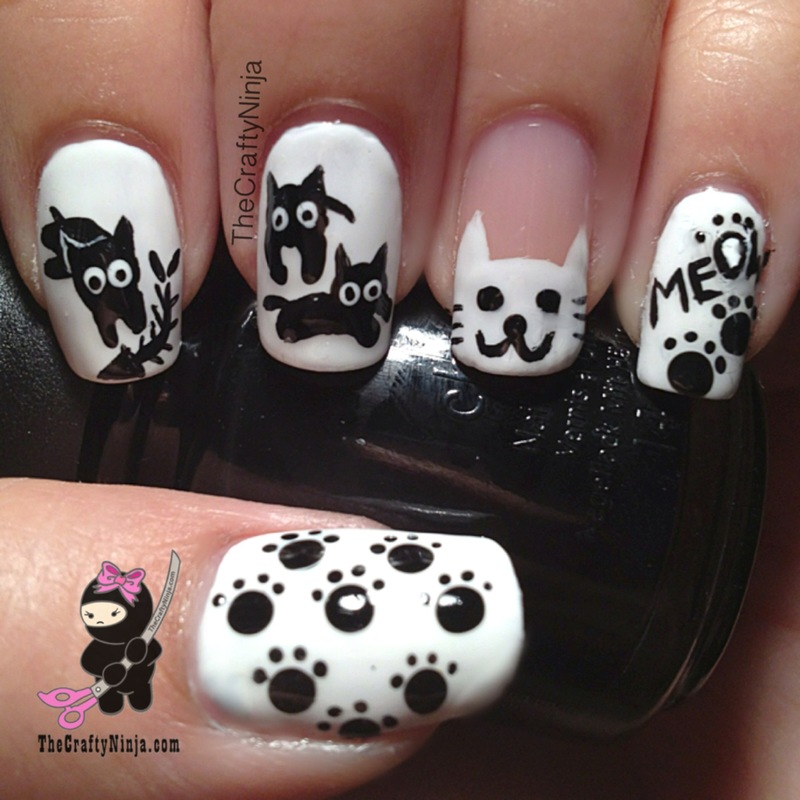 I have been obsessing over kitty cats. 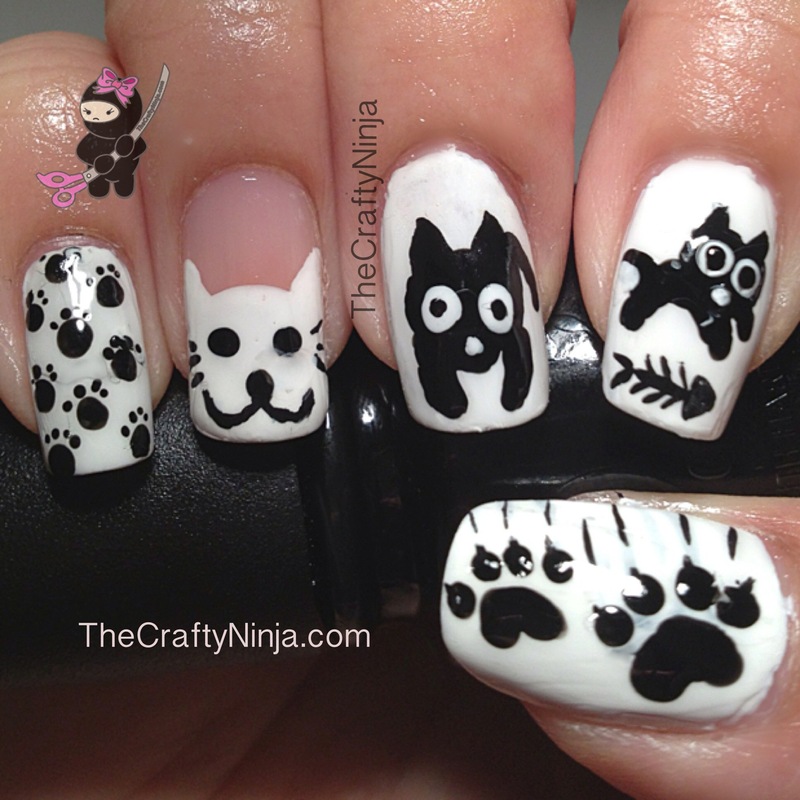 Even though I am more of a dog person I love cats. I thought black and white would be a nice color combination to keep it simple and cartoon like. 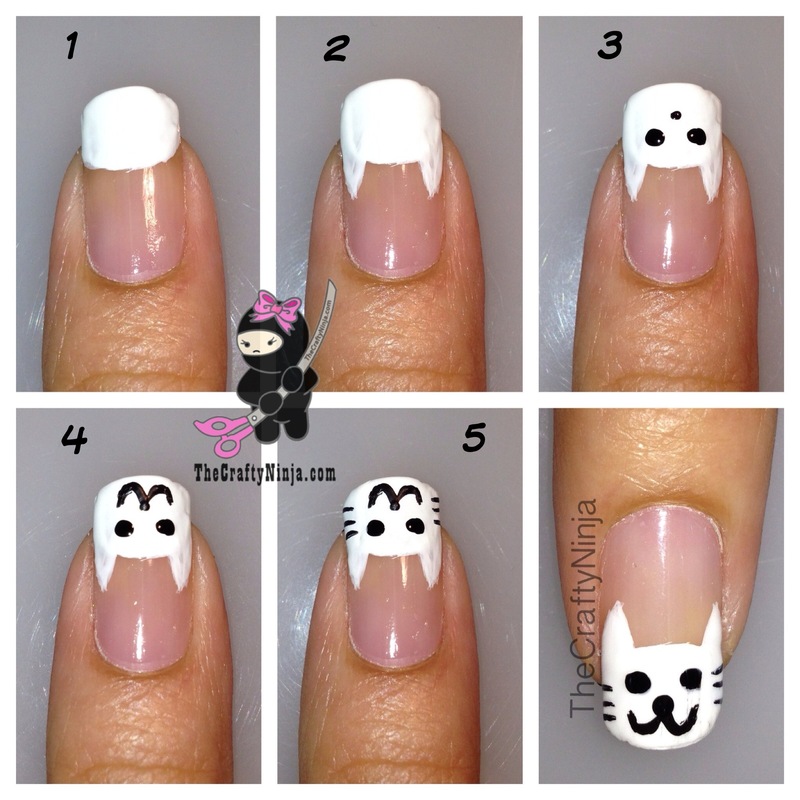 Check out my YouTube tutorial below to create your own kitty cat nails. This was done with my non dominant hand and was pretty difficult to create. I wanted to practice more on my detail work using my left hand.